Nothing could be more important to the future of the nation than its full expression of democracy. During Black History Month, we focus on the role LDF has played in the legacy and contributions of African Americans—past, present, and future. We have been the country’s first and foremost civil and human rights law firm, has fought for racial justice through litigation, advocacy, and public education for nearly 80 years. 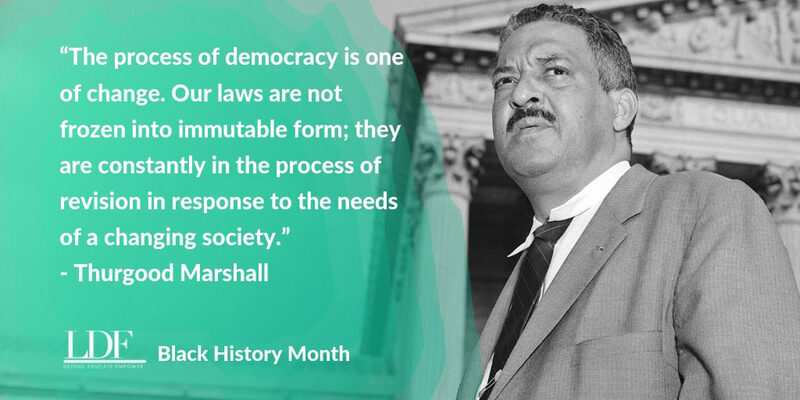 In 1940, our founder Thurgood Marshall created LDF with a vision of what America should look like and the rightful place that African Americans should have in it to truly make our nation realize its democratic ideals. 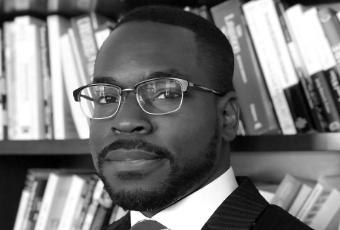 With historic legal victories that desegregated schools, expanded access to the ballot box, and opened pathways to quality education and jobs, we celebrate Black History Month while acknowledging that there is still much work to do. Just like the lawyers and advocates before us, this generation is engaged in extraordinary work. We have a young, dynamic, and diverse team that is well-versed in the legacy they advance each day. Their steadfast dedication is a testament to the civil rights heroes who came before them and the future generations whose lives will be shaped by their efforts. 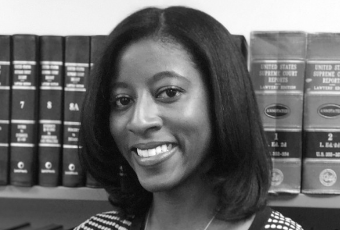 Throughout Black History Month we are featuring stories from the next generation of civil rights lawyers and advocates. The battleground may seem different but our call to action remains the same. We will all remain bold and visionary in our pursuit of equality for all. Today you can help sustain our vision of the future by becoming a monthly donor. A gift of $10.00 a month provides vital resources to ensure we continue the legacy and fight to full the promise of equality for all.